The 200-km cross country marathon that started from Punkaha last week ended on June 7 at Paro Taktshang. The participants had to race through trekking routes in Punakha, Thimphu and Paro. There were around 36 participants from 16 different countries. 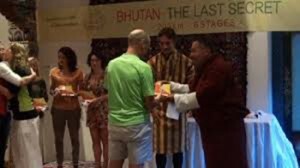 The Chief Advisor, Lyonpo Sonam Tobgye, awarded winners prizes.